I have a comment on two editorials that were written by Kent and Mark Lester in the SuperTrax issue I received this week - Vol 28 #4. I have been participating in the sport of snowmobiling since we had our first 1960 Bombardier Skidoo that we used to get around the farm and ice fish. I now own late model Skidoo and Yamaha sleds and actively volunteer with my local snowmobile club in the Kawartha's. This trail system is probably the busiest do to its proximity and accessibility from the GTA and cottage country and generally the conditions are as good as we can make them given weather conditions. I promote and believe in our trail system and the access it provides for people and related businesses to derive value out of the winter months. Over the last three years specifically however, I have noticed a very disturbing trend in riding behaviour and general lack of respect for the rights of others. This has resulted in trespassing and permanent trail closures that we as clubs worked very hard to open and to maintain access - concerns both voiced by Kent and Mark. Granted it may be that the culprits represent the small minority but in our region of Ontario 96% of all the trails run across Private Property and the owners rights must be respected. As a land owner myself with close to 300 acres of forest abutting the trail system and Crown Lands I have had to deal with many instances of trespass by all types of "recreationalists". At one point we did support a snowmobile access through the property and for the most part the riders behaved. It was actually the 4-wheeler's (A whole other problem that's growing) that considered our property fair game to "Freeride" that caused us to shut everybody out and now I see snowmobilers looking for powder doing exactly the same thing. Other landowners - regardless of Bill 100 implications - see this behaviour and are considering closing access. 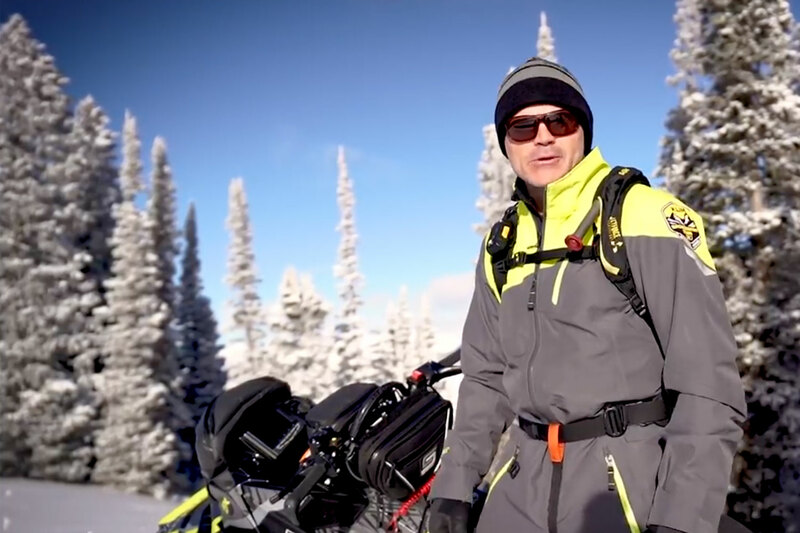 The excitement of taking a 160HP mountain sled up a pristine slope is portrayed by manufactures and media alike and it has its place to promote the sport. The reality is that in Central Ontario there are very. I repeat very, few places to do this and private property is not the place. The other aspect of irresponsible and downright dangerous, behaviour I am witnessing now is the advent of the "Stand-up Racer" traveling singly and in groups at speed and tearing up the grooming and blasting out the corners on our trail systems. Again, how much of this behaviour is caused by a small group trying to emulate either the Manfactures promotional videos and the corresponding media reviews? I cannot quantify scientifically, however; I can say that on Sunday Feb 5, 2017 while cruising south on B103 between Haliburton and Fenelon Falls I counted 54 sleds running at high speeds with standing riders, evidencing minimal control on their machines who neither signaled their position in the pack, slowed down because of approaching riders or even stopped at driveway and road crossings. By the time I could even think about stopping safely and getting my phone out of my pocket to take a picture the perpetrators were long gone in snow dust and the only evidence were the snow piles left behind by their aggressive use of the throttle. This is a community shared trail system, operating on public right-of-way and on any given weekend extremely busy with more than just snowmobilers. Since the STOP program and OPP patrols have disappeared there is no consequence - other than damage, injury or death - that will deter this continued behaviour. It is a requirement of the industry and sport to promote itself in a responsible manner. Just because my sled (truck, boat or motorcycle) can easily crush the C-Note does not mean I should be doing so in anything but other than proper controlled conditions. While I read and support the editorial comments in your magazine I am concerned - no, make that positive - that the offenders cannot read. Otherwise they might just show some respect for others that use the system and the land owners that generously provide access to their properties for no compensation and much liability. Maybe every sled commercial needs voice-over and huge font statements that overwrite the video and soundtrack with messages about responsible behaviour. If it doesn't stop then the side of the road will be the norm for a while until the interaction with other traffic becomes a problem and then it will be shut down. Thank you for the forum to express my opinion and concern. You make a lot of sense and in principle I do not disagree with you one bit. However, this sport is important to me and I think we need to try to look for and work hard at getting some workable answers. My context on this problem is as follows. For years the OEM's and the sanctioning bodies have been crying over our ever aging demographic and the problems that reality foreshadows. 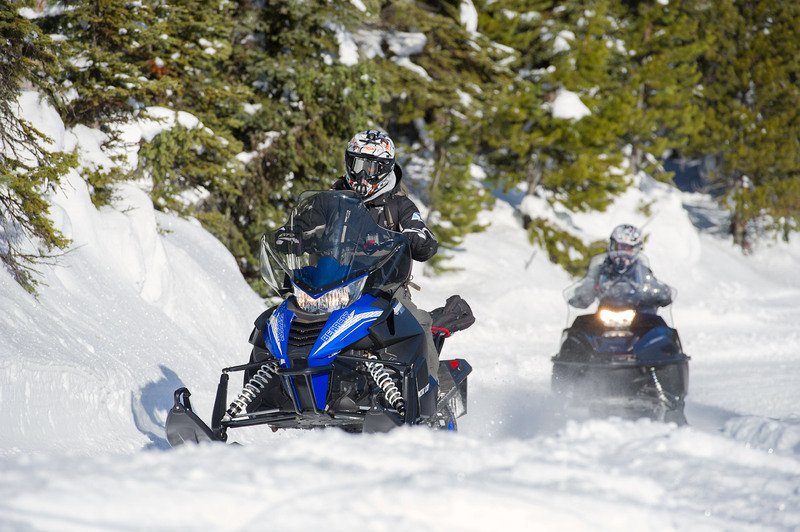 We now have a younger demographic entering our sport and causing trouble as they participate in a somewhat "tweaked" version of snowmobiling - albeit a version which has been widely marketed by the OEMs in an effort to grow the sport and sell more product. We now have this younger emerging group participating but in doing so creating havoc. We have to manage this situation in an effort to preserve the sport. Denying free riders a place to vent is not the answer. Providing viable places to free ride legally is the answer. I truly believe the leading sanctioning groups like the OFSC, the FCMQ, NYSSA and MNUSA need to have a meeting of the minds and bring together these new snowmobilers, the OEMs and the clubs in an effort to begin a constructive, positive dialogue that presents something more than "no" as the answer. Thanks for your concern - I respect your position.